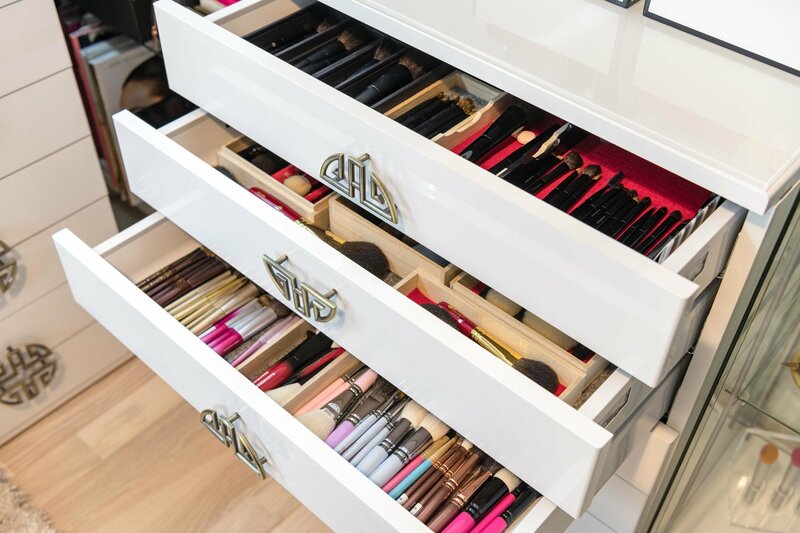 The snowy mountains of Switzerland might not be the first place you’d expect to find a shrine to makeup brushes, but if you step inside Sonia G.’s “Brush Boudoir,” you may change your mind. 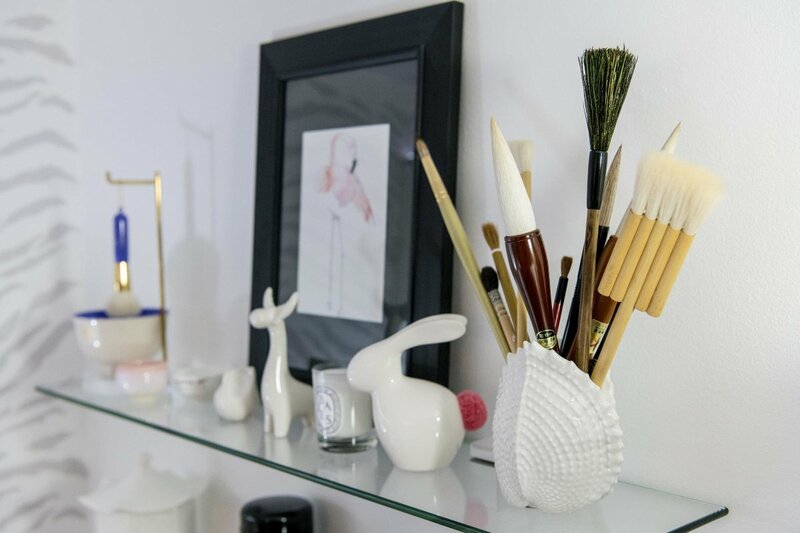 Born and raised in Spain and now an IT systems architect near Geneva, Sonia has spent the last few years creating an online community around handmade Japanese makeup brushes (or fude, as they’re called in Japanese) through her blog, Sweet Makeup Temptations—and she’s built an impressive collection of brushes in the process. 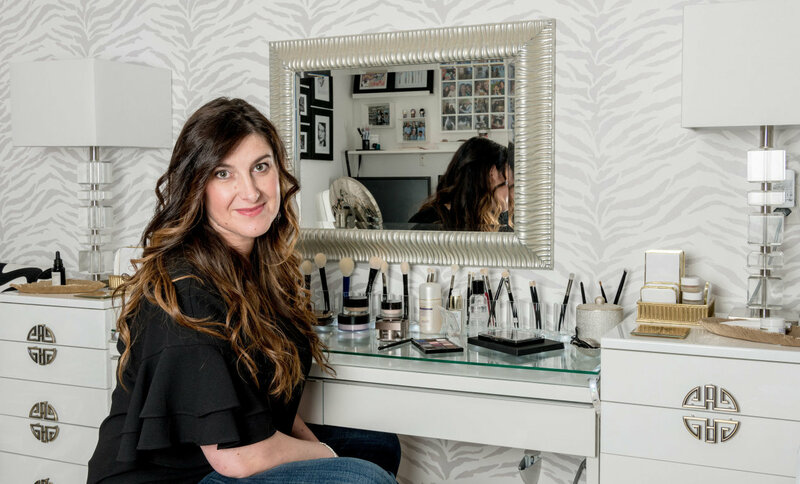 We visited Sonia at her home to learn more about her passion for handmade makeup brushes, get an inside look at her brush collection, and get the lowdown on the new line of makeup brushes she has in the works. 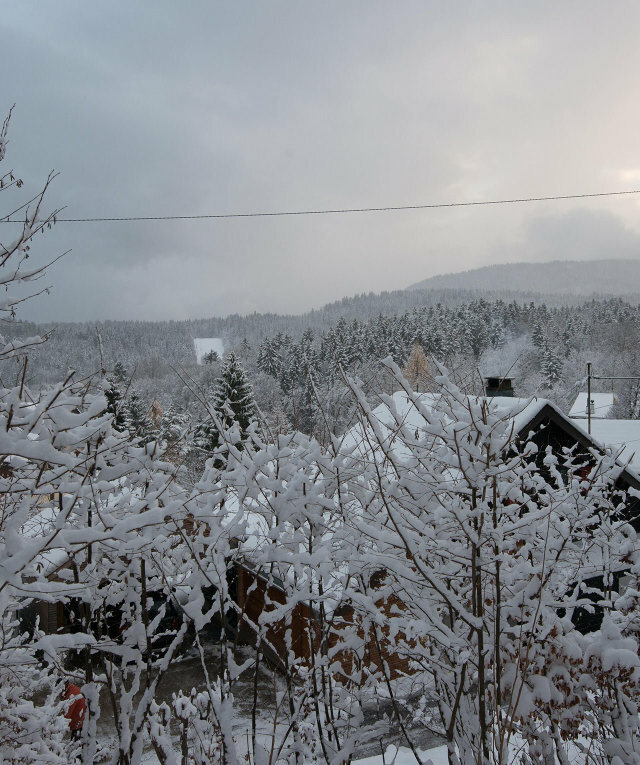 What’s life like in Switzerland? 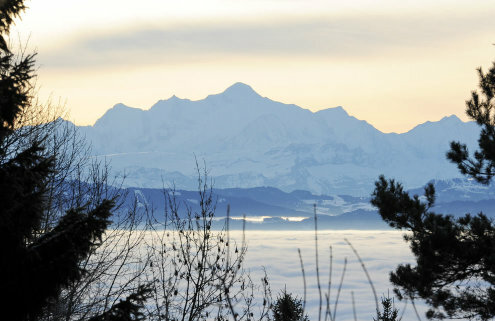 My husband and I live in the mountains not far from Geneva, where we have a little house in a tiny ski resort town. The winter conditions can be challenging, but they are worth it. When I leave work for home, I feel like I’m going on holiday on a daily basis. It’s peaceful, and the neighborhood is extremely friendly and caring. Makeup is something I discovered in the ‘80s, when I repurchased the same purple pearlescent lipstick over and over! I couldn’t use foundation because my skin was very problematic, and I couldn’t find good skin care or afford expensive treatments until 10 years ago when I found something that worked. I ran to YouTube—I had so much to catch up on! 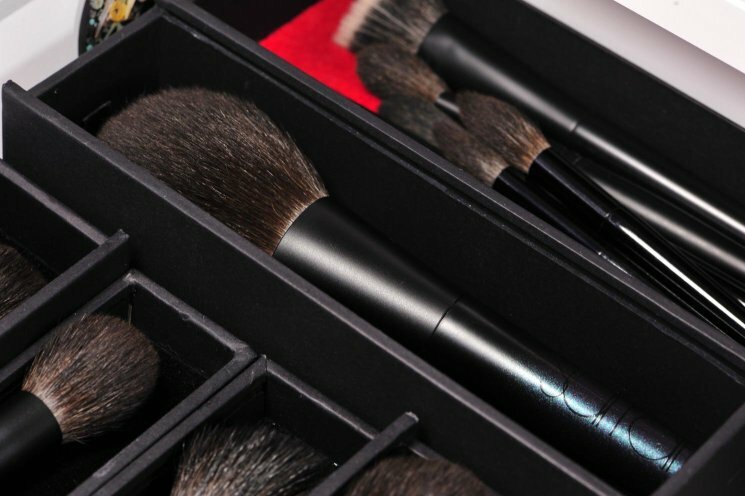 I discovered Wayne Goss, and it was the beginning of a new passion: makeup and makeup tools. What made you decide to start your blog, Sweet Makeup Temptations? When I do something I am passionate about, I throw myself at it fully. I was so excited and enthusiastic, and I needed to share somewhere, somehow, with like-minded people… I was convinced that the blog would be a perfect way to balance my technical nerdy profile with a more creative activity that totally and fully rocked my world. I also thought it would be a good way to improve my English. I knew I could not be a good writer or photographer, but if my reviews could still help someone, I was happy. It was all about the social interaction; interacting with people in the comments sections or in the forum is what I loved the most. I’ve met some of my closest friends thanks to the forum and the blog, so I am insanely grateful for that! 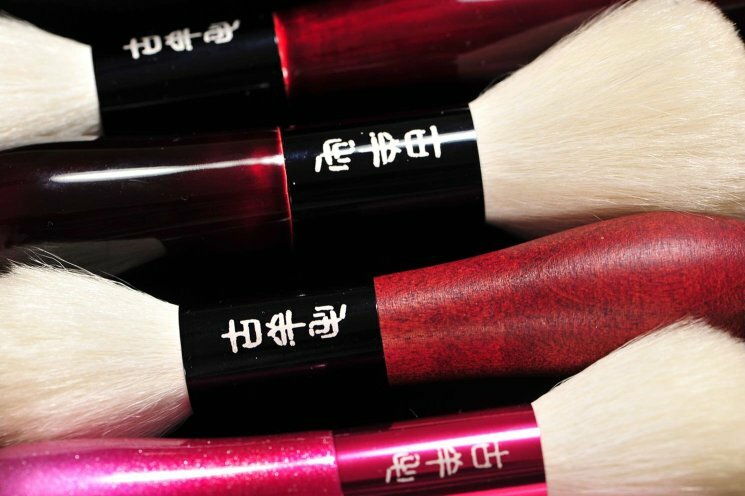 How did you become passionate about handmade makeup brushes? 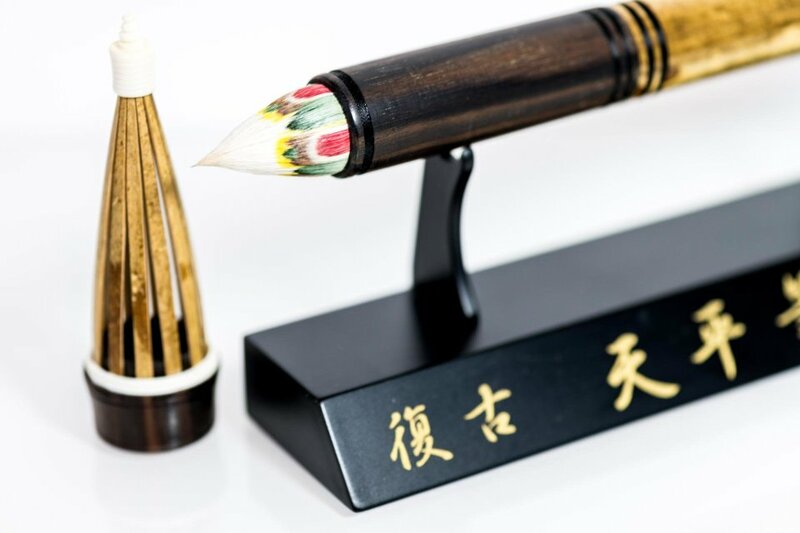 I love the craftsmanship behind a handmade brush; the quality, the performance. I come from a very poor background… We had to make or grow almost everything ourselves: bread, soap, wine, liquor, tools, vegetables… We bought only when we had to. Seeing the artisans making the brushes was like seeing my grandfather at work. I remembered sitting next to him; he was always creating something with his hands and this was so exciting. This is the main reason why I am so in love with craftsmanship. You’ve visited Kumano, the brushmaking capital of Japan, a few times. Tell us about your first visit. My first trip to Kumano was in 2013. My contacts were kind enough to let me meet the brush artisans. I had prepared a little speech and some sentences in Japanese, but when I was face to face, I was so intimidated that I forgot everything! I was just standing there, bowing and speechless. I spent time at Hakuhodo, Koyudo, Chikuhodo, and Tanseido. I could not believe that I was actually there in person, talking and listening to their stories! They showed me around, they told me about Japan, their work and themselves. Today, I feel connected to this little town; my friends there have become like a second family to me. 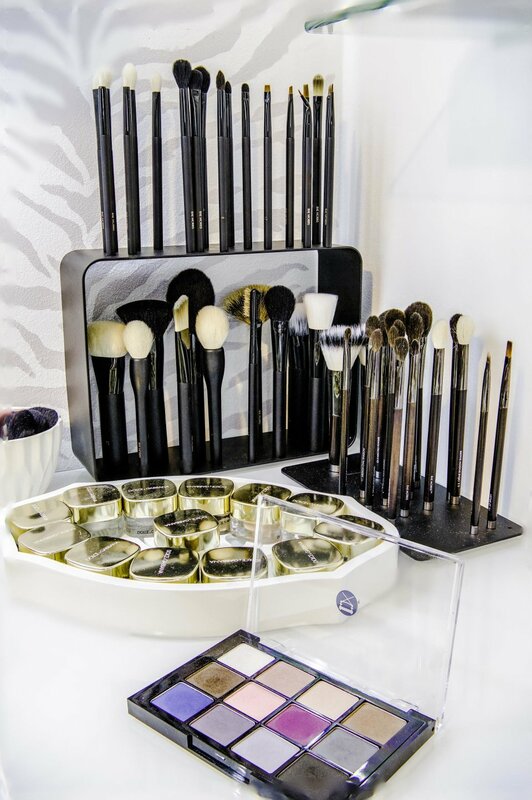 How did your visit change the way you thought about makeup brushes? I was really surprised to see how many things in the process were still made by hand and yet how much work they are able to achieve in a day… I noticed how much they enjoy doing their work, how focused and diligent they are. It makes me appreciate the brushes even more. 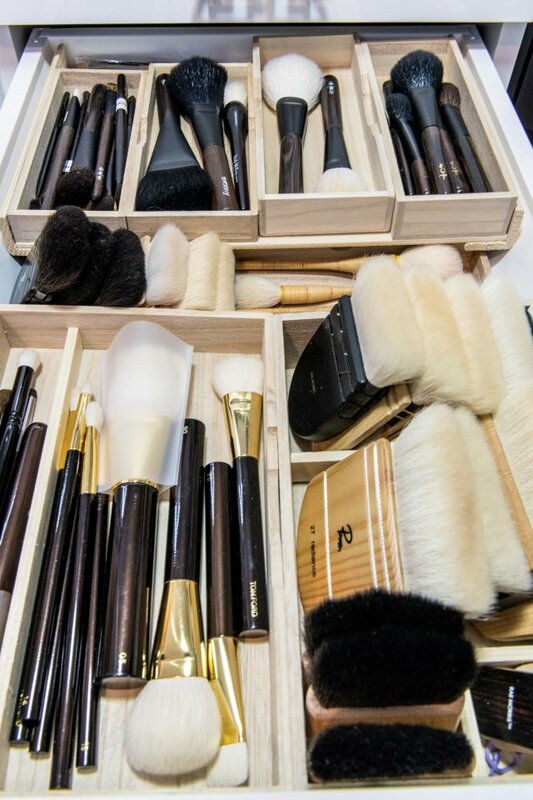 Describe your “Brush Boudoir.” How big is your brush collection? We live in a small house that we are renovating little by little. The Brush Boudoir was the first room we completed all by ourselves. It’s quite small but contains my office, the vanity area, the brushes, a comfy couch, and enough space to spend time chatting with my friends when they visit. I wanted this room to be luminous; to look fun but remain very functional. My brush collection is quite large. I have around 2,000 brushes from different brands, natural and synthetic and not only Japanese. Since everyone around me knows that I love brushes, I received many of them as gifts from family, friends, and manufacturers. 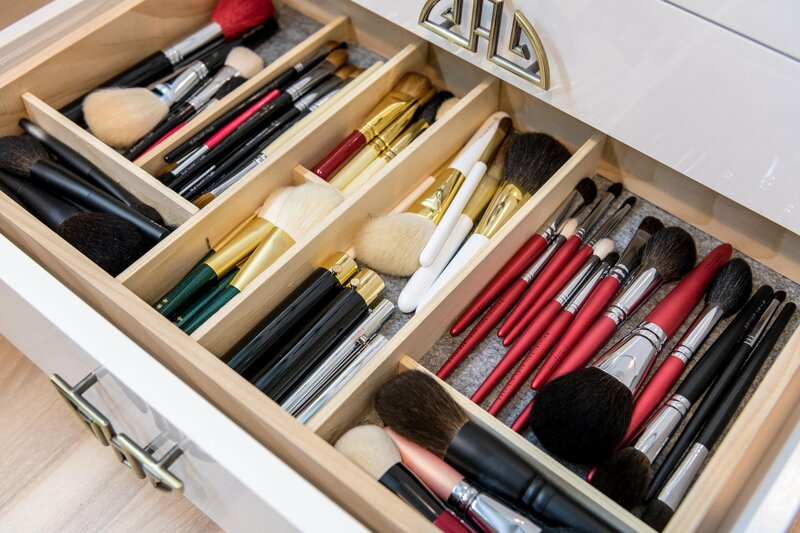 How do you organize all your brushes? 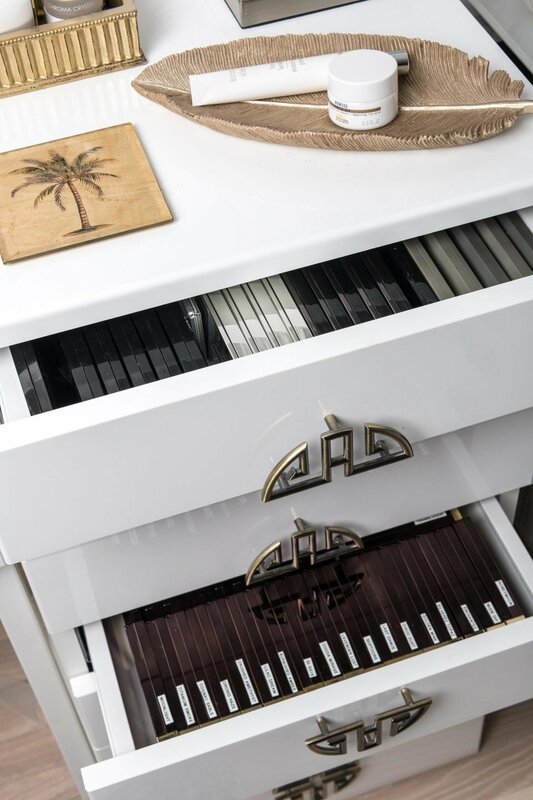 I store them either in the display cabinet, the drawers, or the vanity area in acrylic holders. Just like with makeup, I need to be able to see them and find them easily or I won’t use them. They are mostly organized by brand or series; it helps a lot to know where they are. I keep them in the boxes that I received with the brushes. I try to rotate most of them frequently as it helps keep them in good condition. Do you have any tips for caring for makeup brushes with natural hair? 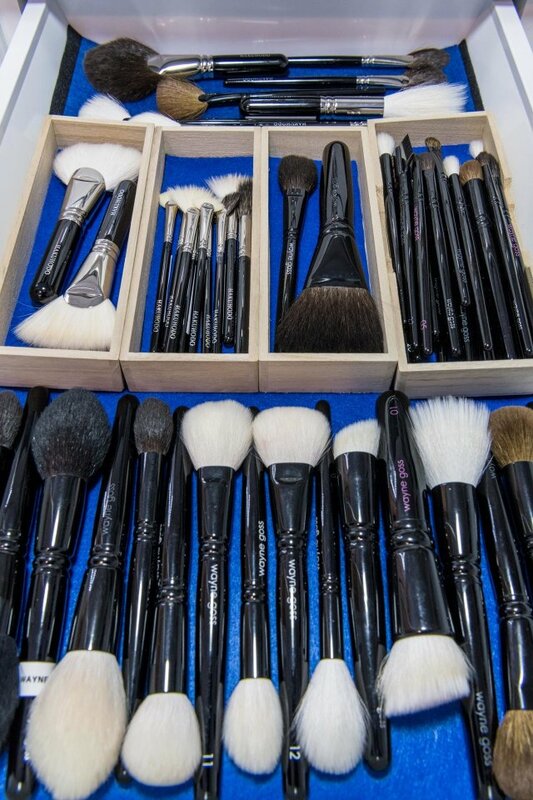 The brushes have to be used; using them is the best way to keep them in good condition. Depending on the bristles, the more delicate ones should not be washed too often. 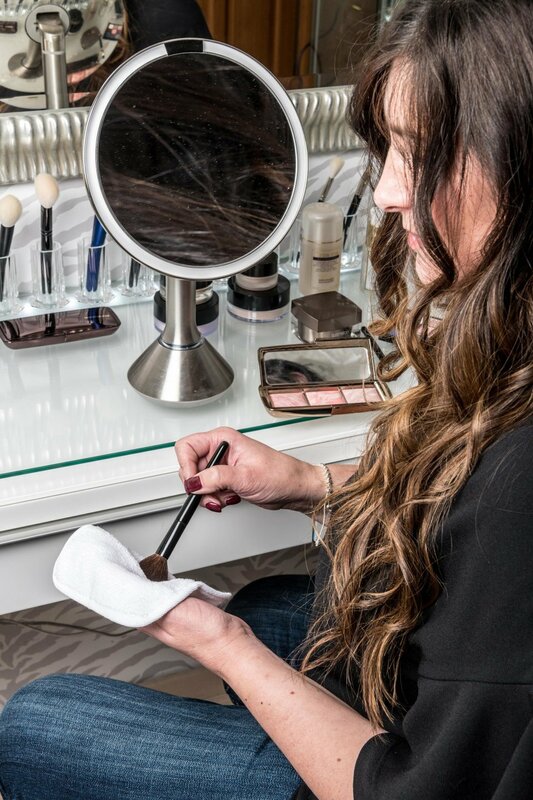 When I do my makeup, I place a little towel nearby and wipe every brush after I finish using it or in between colors. Something that I would definitely recommend is to keep them in a dry place—not in the bathroom, for example. Wash them gently, rinse them thoroughly, and reshape them after removing the excess water. When I need a brush to keep its shape, I simply wrap some tissue paper around the bristles while they dry. What is the biggest difference between natural and synthetic bristles? Natural brushes are not always the best answer. For liquids and creams, I’d rather use synthetic ones; they don’t absorb product as much, the transfer onto the skin is easier, and they endure more frequent washing. For powder products, I prefer the spring of natural bristles. There is a better grip on the product without “stickiness” on the skin, the application is more buildable, and the blending is more efficient. Some synthetic bristles are still very efficient with powders, but my preference is natural bristles for any powder product. 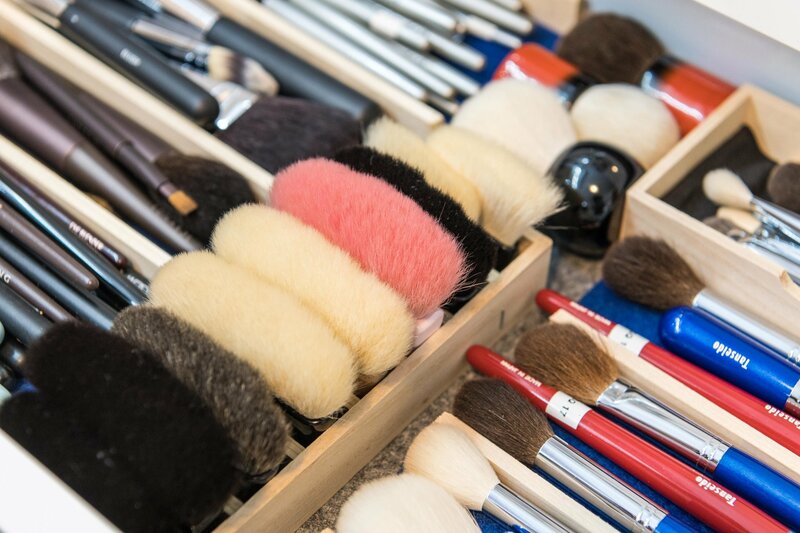 What do you look for when purchasing brushes? Innovation and efficiency. I love to experiment with new shapes. I love when a brush is beautiful, but most importantly, it has to be efficient. I have no patience and no pro skills, so the application has to be quick and effortless. Of course, I check the quality against the value and who made it. I prefer quality over quantity; when I was at the Fude Matsuri (a brush festival in Kumano), there were many wonderful brushes, but I don’t buy just for the sake of increasing the collection. The only brushes I purchased during my trip were brushes that I knew immediately why and how I would use them. 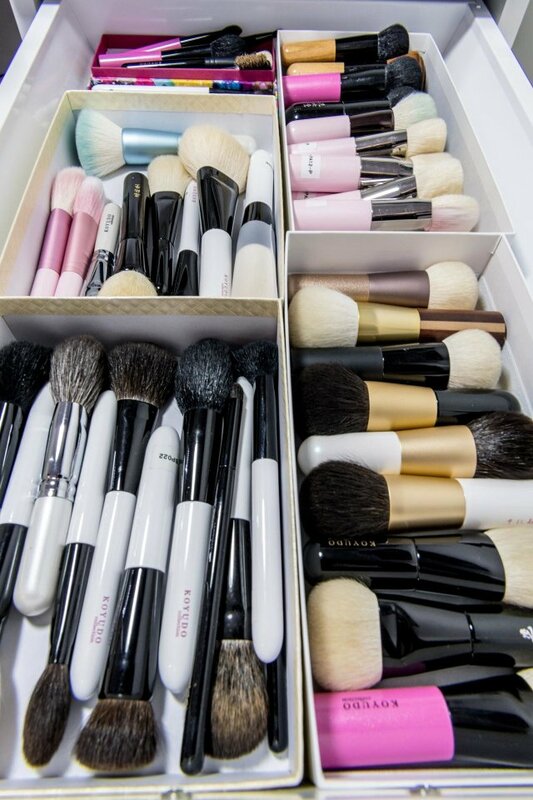 You’ve been working on your own brush collection. What was the inspiration behind it? I wanted something different; to design new shapes and create brushes that were not only beautiful to look at but efficient. It’s not only about the results but about the whole experience. During the whole process, I thought of all the emails that I received since the very beginning of my blog, asking me to recommend a brush for a particular usage. When I pictured that brush in my mind and I could not find it anywhere, this was my priority: to fill in the blanks. My dream is to stimulate creativity, to break the routine. Maybe you have some products that you don’t enjoy using anymore; maybe you don't think applying makeup is something that can be fun and relaxing. This is what I would love to change. Those minutes we have in the morning for ourselves—I want to make them count. Sonia G.'s The Fundamental Brush Set is now available! Click to learn more.